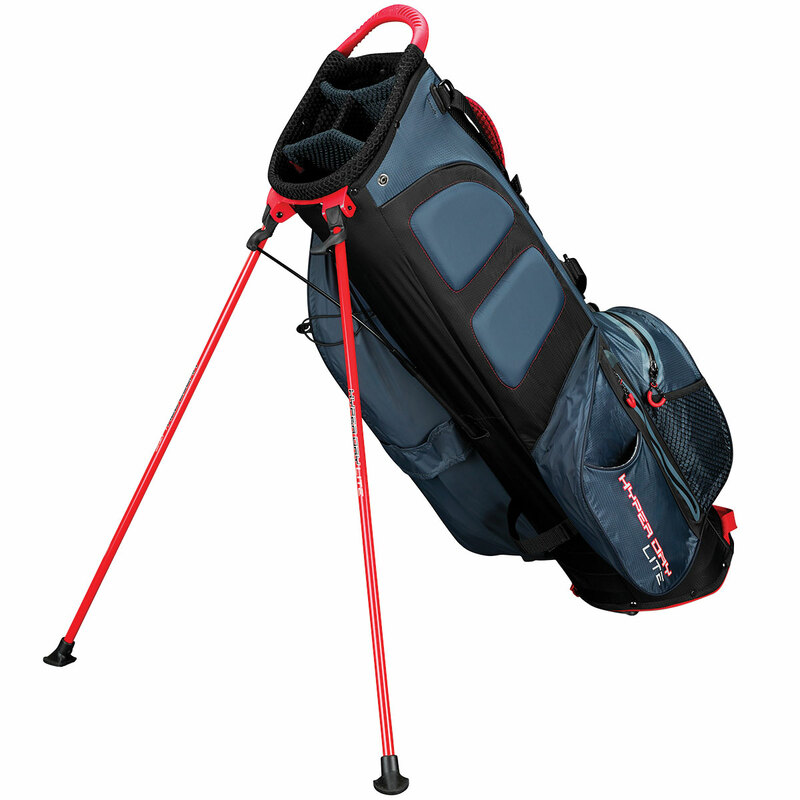 This high-performance golf bag has a lightweight and waterproof construction to keep out the elements during your golf game. 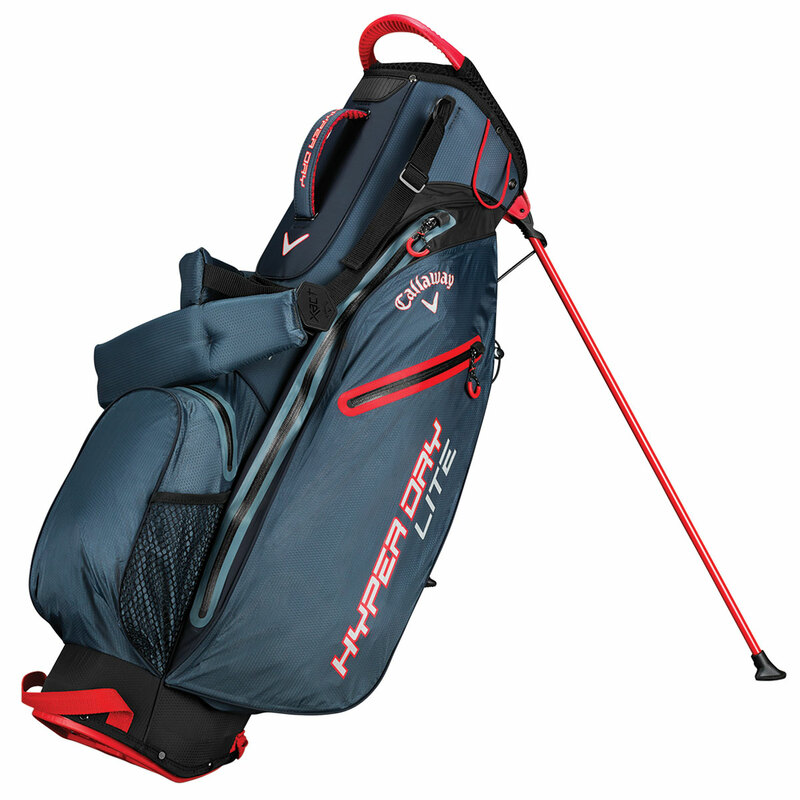 The bag has an extreme waterproof construction which is fully seam sealed, with waterproof welded zips and rain hood, so the rain wont spoil your golf day. The bag ensures storage is always close to hand, with pockets that have glove friendly zip pulls for easy access during your game. These pockets include a custom logo bottom ball pocket, full-length clothing pocket, and has a phone sleeve as well as others. 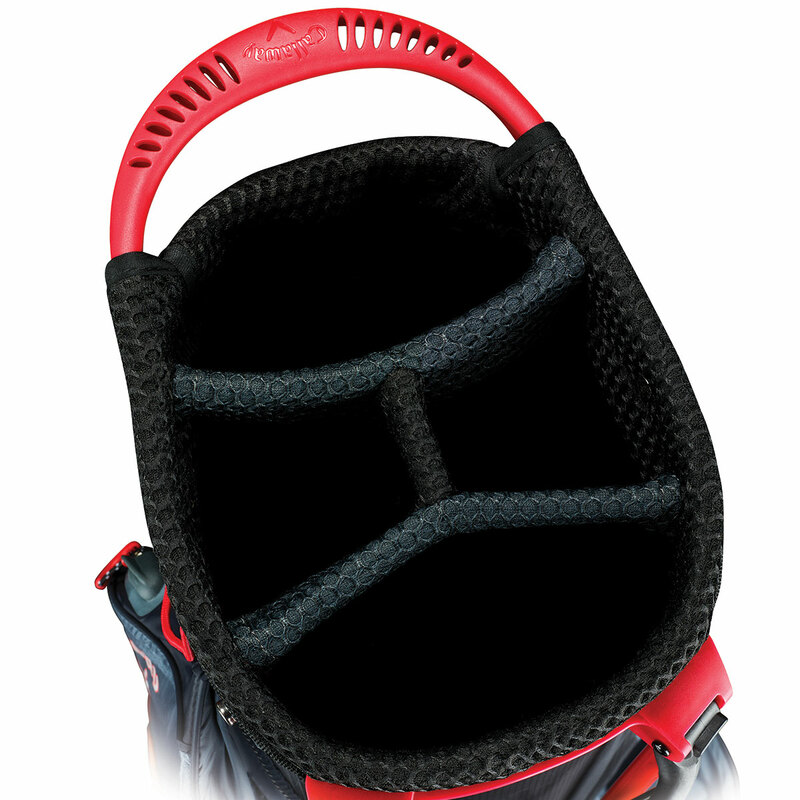 To ensure comfort and convenience the bag has a quick release automatic stand, lift assist handle, and an X-Act Fit strap for extra comfort when carrying. Other features include a towel hook, umbrella sleeve, rain hood, weight: 3.6 lbs.